Zeineba, who is in 7th grade, wasn't always so confident. She was afraid to answer questions in front of her peers, especially boys. But now she’s receiving tutoring, which has boosted her self-esteem. And, she is seeing results. Her grade has improved from a 75% to an 89%. 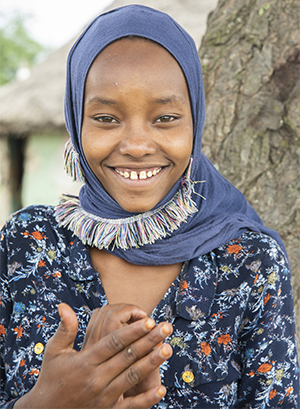 As we mark this 75th year, we celebrate the dreams and opportunities of girls like Zeineba. Learn more about the GirlsGain project, a project empowering girls and women like Zeineba through education and microfinance.